Take a pause. Take a breath. Take it all in. And gain a new perspective on modern living. At Grandview, it’s easy to look in any direction and see how far you’ve come. 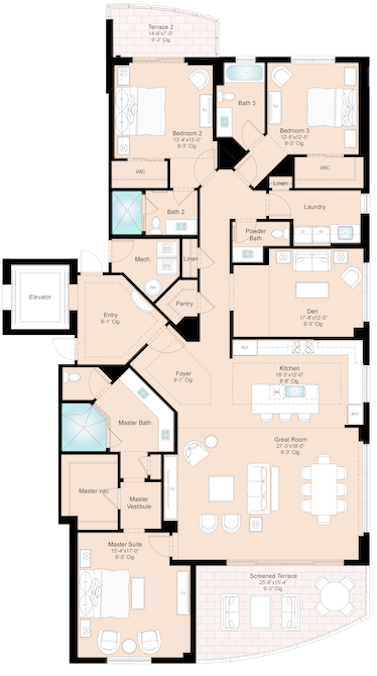 Select a residence below to explore the floor plan, views, features and more. View from the 4th floor looking north. View from the 4th floor looking south. View from the 4th floor looking east. View from the 4th floor looking west. Living Area: 2,923 Sq. Ft.
Total Residence: 3,286 Sq. Ft. The last tower in Bay Beach awaits you.